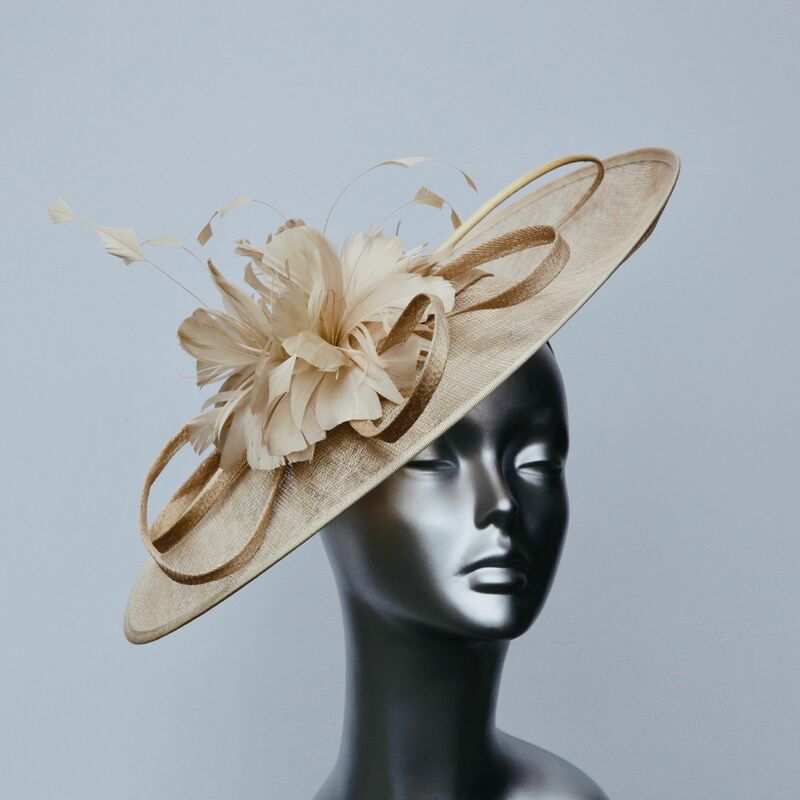 This fabulous hatinator is the Simply Devine mother of the bride/bridegroom signature headwear – just the right size and shape and won’t get in the way when you have to kiss the guests or wipe a teardrop away! We have this lovely hatinator, which is made in sinemay and sits on a comfortable silk headband, in a variety of rainbow colours to match just about every outfit. The hatinator is beautifully trimmed with sinemay curls and lovely feather flowers, ensuring you are picture perfect for the photographs. This useful hatinator can be used again and again, ensuring you get maximum wear, for family christenings or a day at the races.